be chocolate and peanut butter. And when you’re forty…not much changes. In between you might want to toy around with other favorites (matcha? chai? ), but come now, you will always come back to your first. These brownies are deep and rich and have a satisfying, addictive peanut butter swirl that looks as neato as it tastes. What’s more, today is National Brownie Day! And I know it’s late, but go ahead and make a batch anyway. OMG, I’m definitely making these! I can’t type what I first said when I saw this recipe, it’s too rude. Suffice to say, I’ll be making this for our pre-Christmas gathering at the weekend. Am I the only one not seeing a recipe? i am not seeing any of the recipes on any of the posts. I am not seeing any recipes either.. I just herd “Mamma, may I please have another one of your delicious brownies.” ~the 11 year old. Thank you Isa! I expected them to be as good as your cup cakes and they are better. How is this possible? I dont see the recipe-please can you help? Recipe was in the site when I bought the ingredients yesterday. Now no recipe! Help! i see the recipes again!!! yay!!! Thank you, Isa. These are fantastic! These are the best vegan brownies I have ever made! Most vegan brownies don’d get the beautiful crinkles on the top, but these do. They are rich, fudgy and chewy and the peanut butter swirls stay soft and sweet. Thank you, Isa! Made these last night for a holiday party! Huge hit with all the omnis (obvs, duh). I also made my personal fav – the rosemary choc chip cookies – which were also devoured! Thank you Isa! Looking so tasty… thanks for sharing this recipe.. Looking so tasty…someday i will try this recipe.. Tried to make these gf, and they just didn’t work out. Perhaps it was because I used a gf flour that has guar gum (it was Pamela’s)? Anyway, the batter siezed into a dough and I had to thin it out with a bunch of almond milk. As a result, they needed double the amount of time in the oven. They’re super crumbly — but tasty! Isa, could you clarify what type of gf flour you used so we can try again sometime? I made these today according to the standard recipe and they are very crumbly. I also found the peanut mix to stay soft and runny and to sit on top. They are totally delicious, but I would like the peanut butter to be more brownie-like in texture and perhaps more blended/marbled in. I might try adding some flour to that part of the mix and/or just marbling it more fully by pushing it into the brownie mix better. If anyone else has ideas or gets a better outcome, let me know! Completely delicious recipe, but the peanut butter made it all too soft to cut the brownies successfully. I’d make this again but not tell people it was brownies. I’d just scoop it into a bowl and everyone would get their deliciousness that way. The brownies are tasty, although a bit dense and heavy…both my sister and I had to practically double the baking time when we each made them! I would recommend at least 30-35 min in the oven. These were a hit at a party last night, they were gone within a few minutes! I’ll definitely make a double batch next time. Oooey and gooeey and peanut buttery delicious!!! Omg, love these brownies! Made them today, and the hubby has already eaten like half of them! My only thought for next time is to possibly add some more almond milk…the brownie batter was pretty thick and not really pourable. But the taste is spot on delicious!! These turned out perfectly!! So good!! This will be a great recipe to bring to events and such! Thank you. Thank you so much for sharing this. I’m going to be trying it again very soon, I suspect. Peanut butter is healthy. That’s my story and I’m sticking to it, then I can eat many of these, guilt free. A big glass of coconut milk and a peanut butter brownie = bliss. I made these when I had some friends over and they were gone super fast! My one criticism is that I found the peanut butter mixture to be too thick to marble in, so I had to add more coconut oil to thin it out. Otherwise, they were perfect! 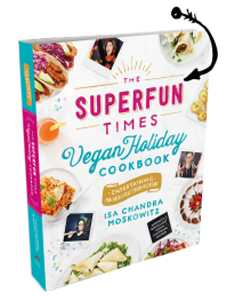 Also, if you haven’t purchased Super fun times vegan holiday cookbook, I highly recommend you do! Very handy for hosting get togethers. Those look AWESOME. I love ‘regular’ brownies and i love peanut butter, so a mix of these two would be great. thanks for the recipe! Now this recipes is perfect way of using peanut butter to make some lipsmacking desserts.I love brownies and this article is a great source for me to feed my craving for desserts.I want to prepare these brownie but i am allergic to coconut oil so what can i used as an alternate to it?Please suggest. These brownies were unreal. Just made them yesterday; they are moist, not too sweet, chocolatey, and nutty, exactly what I was craving. I substituted the peanut butter for cashew butter since I am very allergic to peanuts, and I gotta say, I wasn’t disappointed. Will be making this recipe again (maybe with almond butter?)! Thanks so much! I had same experience as several others above – followed recipe but came out with two dough lumps rather than batters to combine. The completely delicious recipe with awesome ingredients, the best part of the recipe is- the peanut butter made it all too soft to cut the brownies easily. 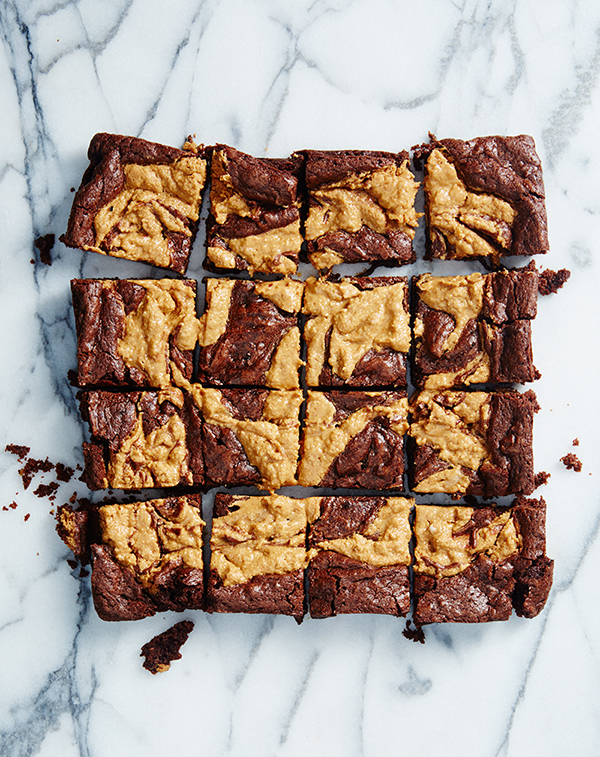 I’m definitely making these Peanut Butter Brownies maybe today or tomorrow. These are looking pretty yummy. I have bookmarked this recipe of yours. Thanks for sharing this awesome recipe with all of us. Best wishes and Regards. Has anyone tried this without the peanut butter topping? I want to make for a friend who isn’t a peanut butter fan. I am just looking for a really good vegan brownie recipe! I have Isa Does It and have been thrilled with every recipe so far. Thank you. Great recipe! My finished product is a duplicate of your picture. I didn’t have any of the issues mentioned in a few other comments. The brownie batter was typical. It seemed a small volume in the pan but it puffed up. The PB mix was a little dense and hard to swirl, I might try a toothpick next time. Either way it is very addictive and melts in the mouth (they are a bit fragile). I used a microwave to melt the chocolate and coconut oil in 10 second bursts. Mine were very chocolaty as I used a 72% chocolate bar. I probably baked it 22 minutes, I don’t like brownies too raw. Made these again today. I put them in a round 9 inch pan and baked 22 minutes. To die for. Thank you again! I have made these many times, they are so good! Just made them again tonight, highly recommend this recipe! Hmmm, I got the two hard lumps as well. I added some soy milk and about nearly one Australian-sized cup of crushed pineapple and juice from a can to get it close to a more batter-like consistency. It Also took double the amount of time to cook but were superbly crumbly and moist when taste-tested. Think I’ll add some crumbled walnuts in it next time for a bit of crunch. Yeah this is a delicious recipe i cant wait to try it. Thank you for sharing the details of the recipe. Enjoy the best online game portal. I loved this recipe Thanks for posting it! i love this Peanut Butter Brownies recipe! This is amazing, i love this recipe, follow us for more. Thank you so much. I love this Peanut Butter Brownies recipe! greatttttttt awesome post ilove peanut butter thankhs for sharing this. Wow.. very nice. thanks for sharing this tasty recipe. I always follow u .. really thank u very much for this. Does anyone know how to adapt these as weed brownies? I’ve never experimented with making them before but just finished an episode of The L Word where Shane makes some and I’m inspired. Just made it.. Tastes delicious. Thanks a lot. So yummy-moist and fudgy! I didn’t bother to put the ganache on top and they are still super tasty and chocolatey. Keeping and sharing this recipe!